The Grosvenor Center for Geographic Education and National Center for Research in Geography Education propose a new framework for geography called Powerful Geography, which revolutionizes the traditional notion of standards in geography education. Combining Amartya Sen and Martha Nussbaum's principles of human capabilities, Michael Young's theory of powerful disciplinary knowledge, and Wesley Null's concept of a liberating curriculum, Powerful Geography offers a new conceptual approach to professional development for teachers. The approach aims to help teachers model geographic knowledge and skills that offer a diverse group of students the best preparation needed to attain personal and career goals and aspirations. 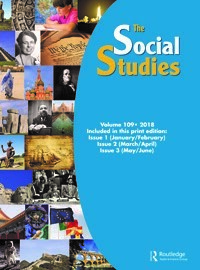 This article argues the logic and value of Powerful Geography, sets up the rationale for Powerful Geography, describes how it builds on prior research, and presents a multiyear research and development plan involving social studies teachers. Lambert, D., Solem, M., & Tani, S. (2015). Achieving human potential through geography education: A capabilities approach to curriculum making in schools. Annals of the Association of American Geographers, 105 (4), 723–735. Solem, M., Lambert, D., & Tani, S. (2013). GeoCapabilities: Toward an international framework for researching the purposes and values of geography education. 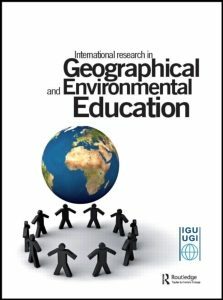 Review of International Geographical Education Online, 3 (3), 214–229. Young, M. (2008). Bringing knowledge back in: From social constructivism to social realism in the sociology of education. Abingdon, UK: Routledge. Null, W. (2017). Curriculum: From theory to practice (2nd ed.). Lanham, MD: Rowman & Littlefield. Nussbaum, M. (2013). Creating capabilities: The human development approach. Cambridge, MA: Routledge. Nussbaum, M., & Sen, A. (1993). The quality of life. Oxford, UK: Routledge.